This is the second and last part of annual spring flower show coverage. 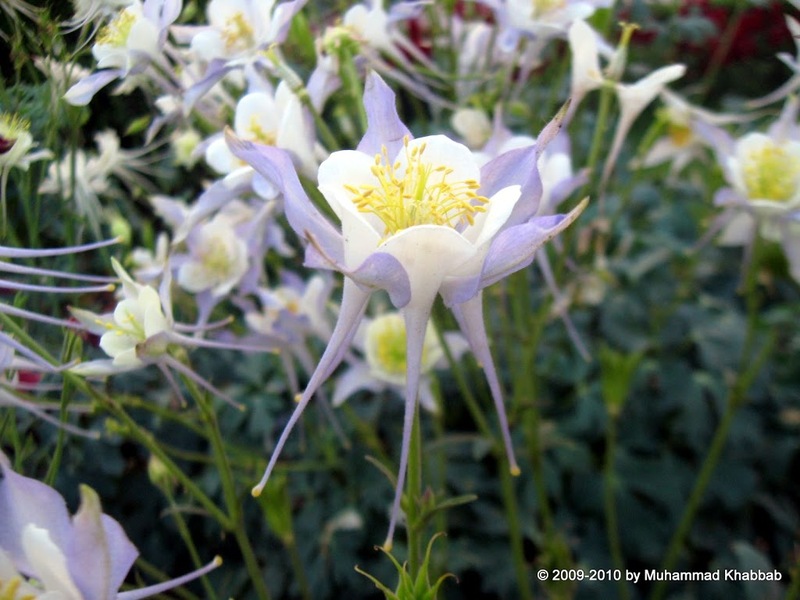 The star of the show were my all time favorite plant aquilegia or Granny’s Bonnet and another name is columbine. The blue one above is the prettiest of the lot. Although this red one is very pretty. Sadly they are cool climate plants and do not tolerate the summer heat of lahore. 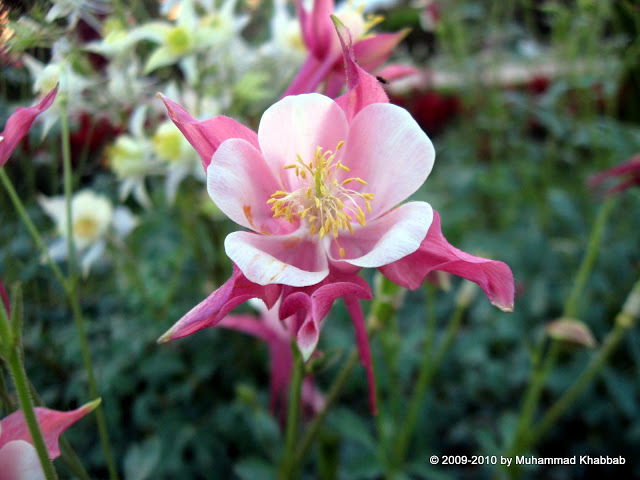 I am yet to find a species of aquilegia suitable for lahore as perennial.There are many hybird varieties of columbine and some are fragrant as well. Probably the other flower which dominated the show was godetia. 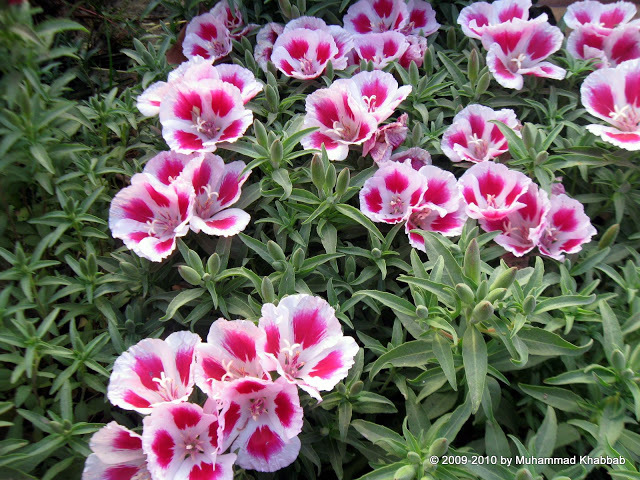 Botanical name Clarkia amoena, they almost beat the aquilegia with masses of their beautiful display. They are very tolerant of poor soil although they dislike poor drainage. 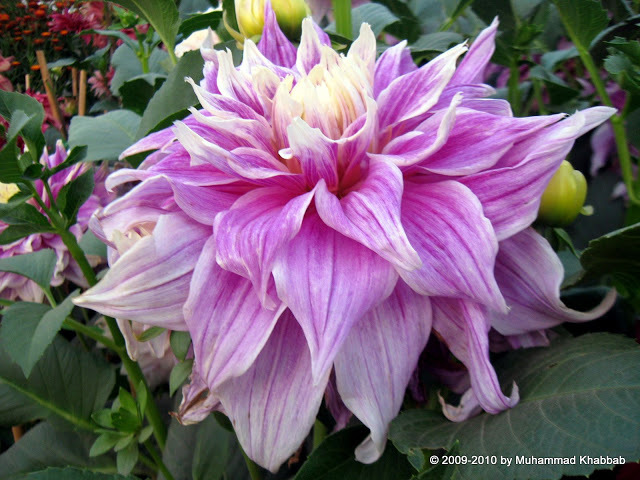 Isn’t it sad that these flower, though grow very good in lahore, are ignored by many nurseries and seeds shops. would surely get my hands on these beautiful plants soon. Keep your eyes on my blog and you will see this plant in my terrace this winter. Now this was a surprise. A flamingo flower. Another plant very tolerant of lahore weather but ignored by commercial growers. 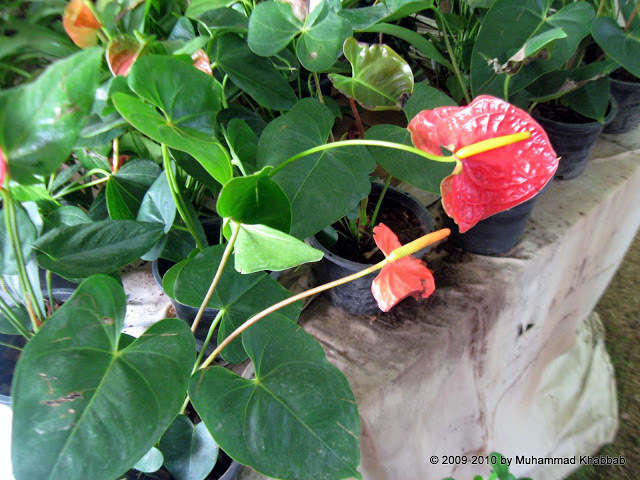 Botanically called Anthurium andraeanum, the common color is this one the red. 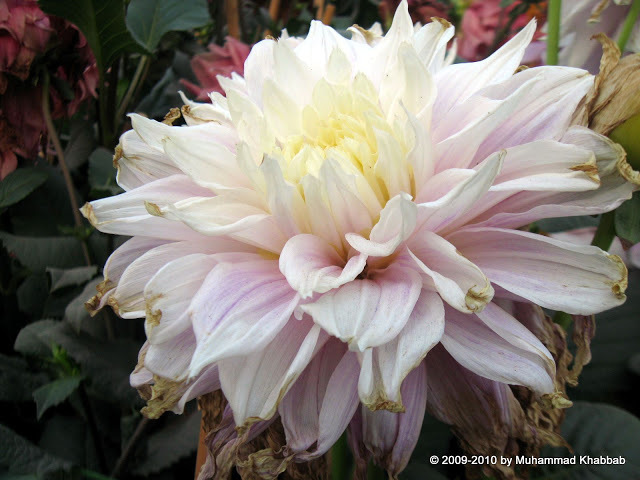 Although other colors exist for this beautiful flower as well. As expected, it was sold at unreasonable high price. 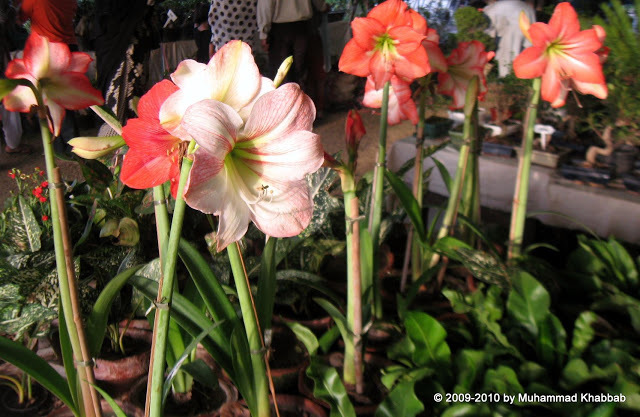 Amaryllis was also displayed as being forced inside a small plastic pot. 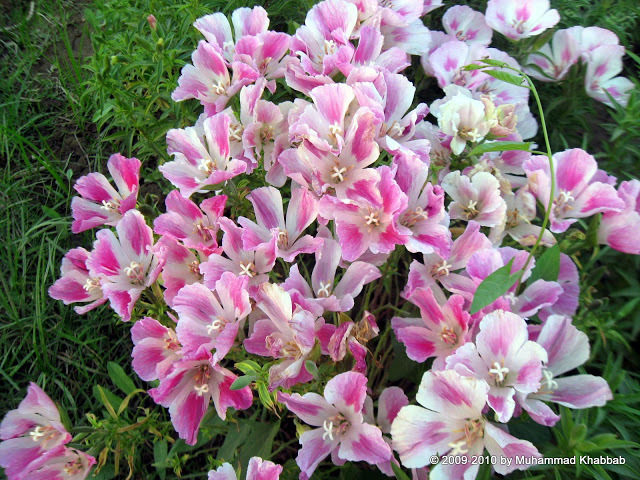 It was also high prices although it is very easy to make it bloom in spring in hot climates like ours. you can force it in water and in soil as well. Blooms readily. Many colors available. The local bulbs have rather small flower as compared to those imported ones. although local ones perform better in beds as heat tolerant. 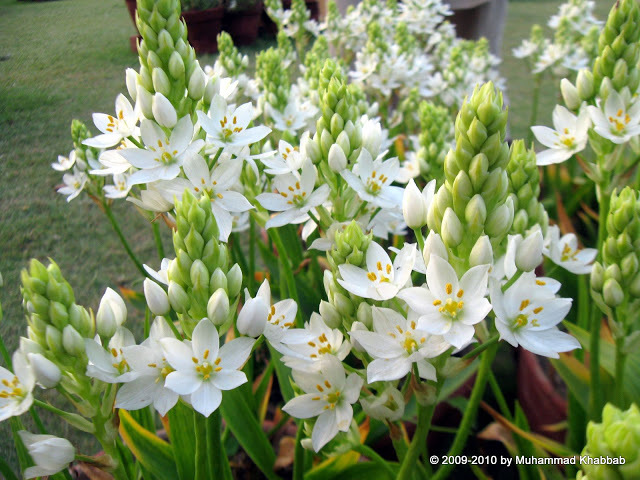 Can you believe that this year in lahore, no seed shop tried to get bulbs of Ornithogalum? i mean such a pretty flower and in many colors and very tolerant of lahore weather and no single bulb present at seeds shops? unbelievable. Now this was probably last years plants or the bulbs were not commercially available. Very pretty flowers and look gorgeous in masses.And yes they are also called chincherinchee. This was some unknown plant having strange looking flowers. Being sold at sky high price. About 5 feet tall. 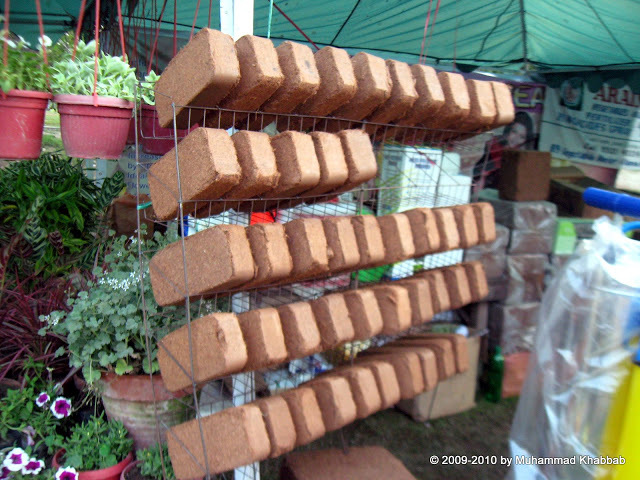 Coco bricks were also sold. These bricks are soaked in water and then used. Coco peat is mostly used as mulch or soil amendment. Also used as seed cover for germinating the seed. I use lots of them as summer mulch as they retain moisture to a great extent. Indian dahias were also exhibited. The indian ones are grown from large thich tubers. And another cheaper alternate is to buy the cuttings of these plants which exhibit same result or even better. 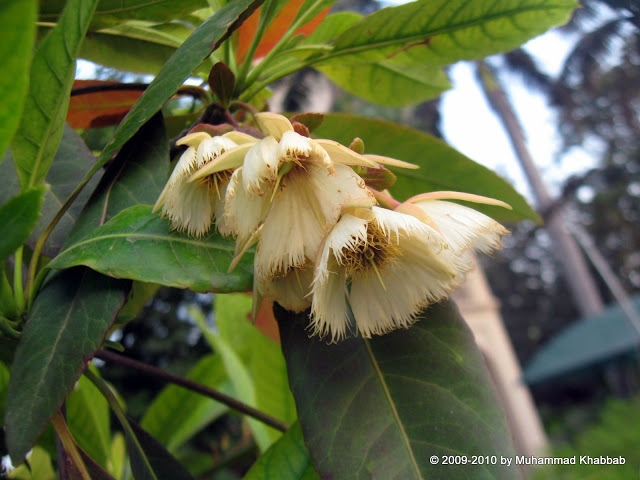 The pakistani dahlis is grown mostly from seeds and have single or semi double flower. The local ones have more heat tolerance once again. 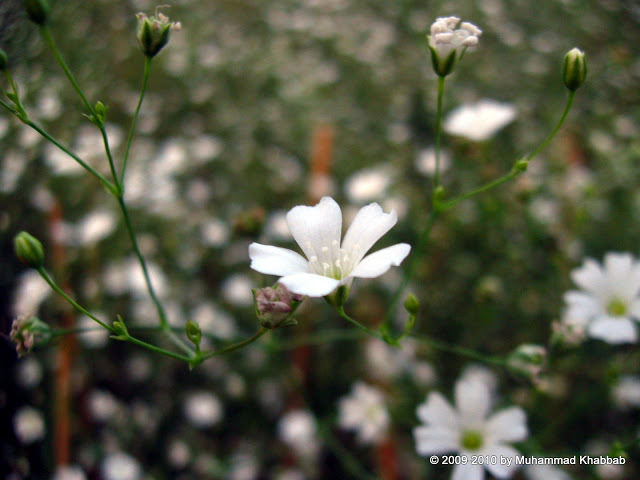 Last but not least, gypsophila. Once again a plant being ignored. 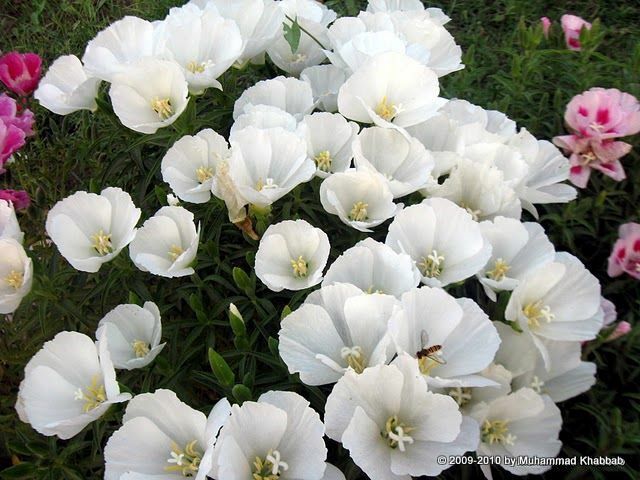 People probably do not give it much attention because of its small flowers although it has very delicate pretty flowers. love the columbine – have not seen it before. so many unusual flowers on display – great job! love your post on the this garden show, i’m surprised to see alot of english cottage garden plants instead of sub tropicals…i actually like that unusual unnamed plant with the straw like flowers. btw, the hot, loud and proud meme is going on again at the end of this month, so i hope you can join us, please, it will be on my plantfanatic blog this friday. Really pretty blooms at this show. I’ve always wanted to try those coco peak bricks. beautiful shots! pretty flowers and very informative:) you are good!! What a wonderful garden show! If only I had all these lovely flowers on my terace or in my tiny garden! I love columbine very much. I cannot stop admiring to the beauty of this flower and its shape. I’ve never had it but my next door neighbour had it last year in lovely blue color but I didn’t noticed it this year. 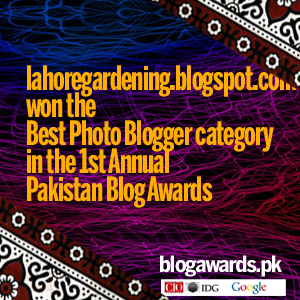 The pakistani dahlis are also adorable as well ase all other flowers which beauty I enjoyed in this wonderful post.